Don’t expect another Goodfellas or Casino from long-in-development mob drama, The Irishman. That’s the message from Martin Scorsese, after the esteemed filmmaker told The Independent that his long-brewing gangster pic is “a little different” when compared to his other body of work. Marking his ninth – ninth! – collaboration with Robert De Niro, The Irishman has tapped Gangs of New York scribe Steve Zaillian to adapt Charles Brandt’s true-crime novel, I Heard You Paint Houses. If you’re unfamiliar with the source material in question – and really, it’s worth a nosy – Brandt’s page-turner documents the deathbed story of renown mob hitman Frank “The Irishman” Sheeran, who developed a reputation on the streets once it emerged that he held insider knowledge relating to the disappearance and subsequent death of Jimmy Hoffa. It’s an engrossing saga of betrayal and the criminal underworld – and right up Scorsese’s alley, frankly – but here, the director touches base on what sets the film apart. I think this is different, I think it is. I admit that there are – you know, Goodfellas and Casino have a certain style that I created for them – it’s on the page in the script actually. Putting Goodfellas together was almost like an afterthought, at times I was kind of rushing, I felt I’d already done it because I’d played it all out in terms of the camera moves and the editing and that sort of thing. The style of the picture, the cuts, the freeze-frames, all of this was planned way in advance, but here it’s a little different. The people are also older in The Irishman, it’s certainly more about looking back, a retrospective so to speak of a man’s life and the choices that he’s had to make. 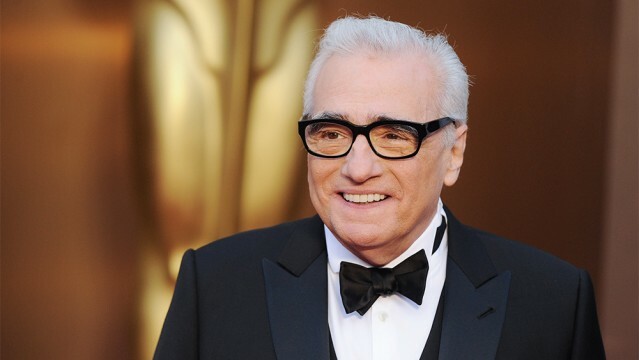 Filming on The Irishman is due to commence in August – just don’t expect to see Martin Scorsese’s latest creative venture anytime soon. Word is that everyone involved is eyeing a 2019 premiere on Netflix, but we’ll keep you posted as more information comes to light.